I’ve been going to Armorcon in Danbury, Connecticut for several years now, so I was thrilled when AMPS chose Danbury for their 2017 International Convention. Armorcon is a good show, but this weekend’s convention was a great show. 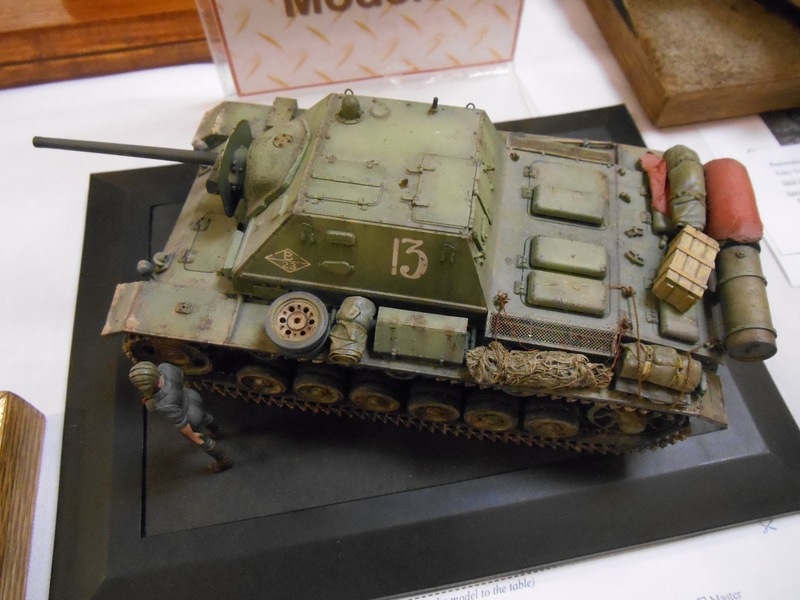 Armorcon’s strength has always been its vendor room, so it’s no surprise that the International Convention’s vendor room was a compelling attraction. There were a number of vendors selling practically every armor kit currently in production. 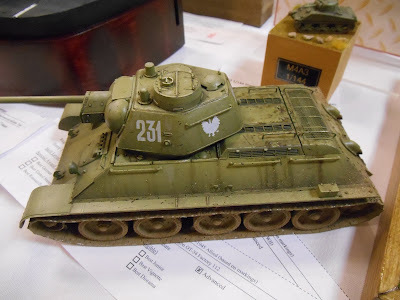 Other vendors offered a huge assortment of painting and weathering products — Mig Ammo, Vallejo, Wilder, Hataka, you name it, it was there. And there were a handful of vendors selling books and magazines ranging in price from $5 to $500. I don’t think anyone walked out of that room empty-handed. 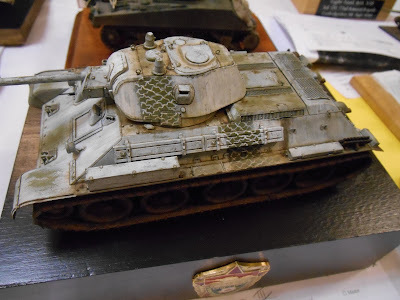 The only weakness might have been the lack of modelers selling models from their private collections; there were only one or two, so true bargains were few and far between. There were seminars, too, another credit to the convention organizers. It’s unfortunate that contest attendees enjoy seminars only at national or international conventions like this one. I wish clubs that sponsor small, local shows would make the effort to do the same for their customers. Next year’s convention is in my old neighborhood, Dayton, Ohio. Until then, here are some of the models that stood out for me. My favorite entry was this Dragon 1/35 Su-100. Perfectly built and finished. The most interesting model on the tables was this 1/35 jeep and carrier pigeon conversion. Most unusual and fascinating! There were a number of really well done T-34s. 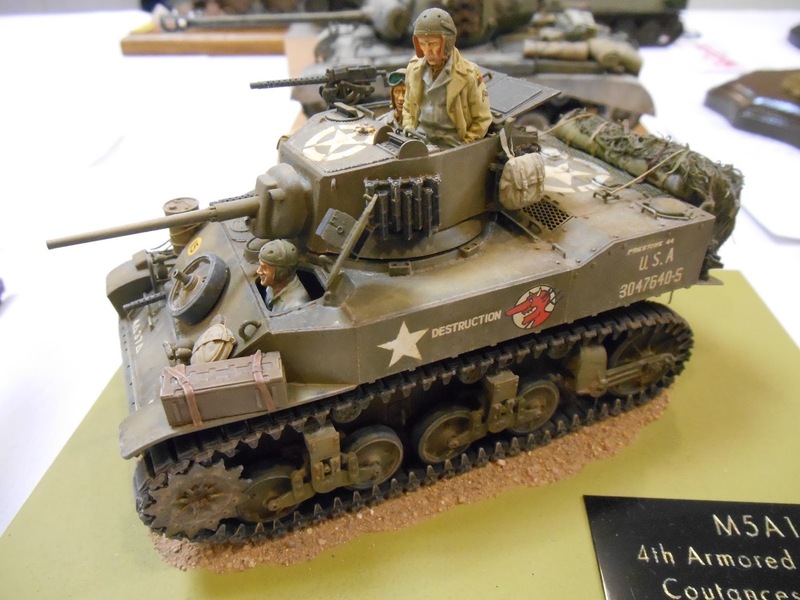 I've always had an affinity for the M5A1. This example was as well done as any I've seen. I've also had a long interest in IDF subjects. 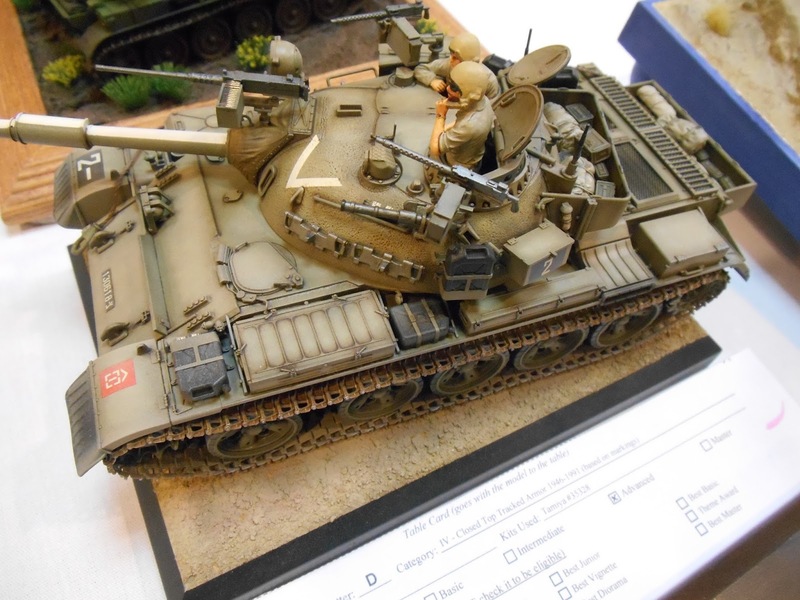 This Tiran was expertly finished, I suspect with a very effective black base. 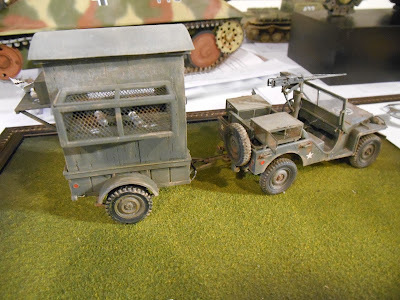 At every contest there's always one model of a subject that hadn't been on my radar but, upon seeing it, prompts me to say, "Damn, I gotta build me one of those!" 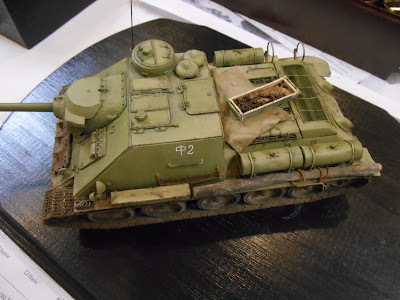 This weekend it was this nicely done Dragon 1/35 Su-76i. There were many, many more great looking models. Watch the AMPS Facebook page and the forums for more photos. I do love what these guys take the time to do for their Armor Con shows and AMPS was nice but in fairness and hopefully so that it might change I will state my two biggest concerns with this last show in april 2017. First the lighting for photos on the contest tables was terrible and second as usual with these shows the majority of the models were behind the scenes with the judges and off limits to the public. This is a common problem with the AMPS format for judging. I understand its difficult to properly judge but it takes the fun and enjoyment out of attending the shows.